Two stories about web 2.0, networked communication, and social object ecologies, both starting here in Vermont. 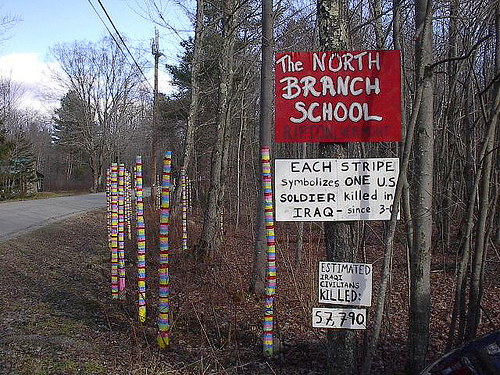 Story 1: driving along a local road to our town of Ripton, I noticed that the community middle school had produced a memorial to Americans killed in the Iraq war. I dug out my camera and took several photos, notably this one. A week later someone from The Nation contacts me, asking if they can use the photo on their site. Bonus: a free t-shirt. Naturally I agree. Twist: they urge me to recopyright that photo under one Creative Commons license, which I do. Am wearing the nice black shirt as I write this post. Why this matters: it's a classic web 2.0 story, with microcontent connecting people along lines of shared interest, based on what Ton Zylstra calls "social objects." Very easy, fluid, direct. It's also a digital photography story. I was never trained in still photography, but digital cameras famously let us shoot, reshoot, and shoot again, increasing practice and skills. The material limitations of print photography didn't let me do that so readily. And a frustration: I can't point you to the magazine's use of the picture, because they cycled through a series of images. Moreover, the search function turns up nothing. We're still figuring out web 2.0. One path, on the right, was laid down for expected foot traffic; said foot traffic often cut left instead, leaving a deepening record of that decision. It's a useful image for my work (although a poor photo, reflecting my lack of experience with the phone, then). Some folks commented on it. 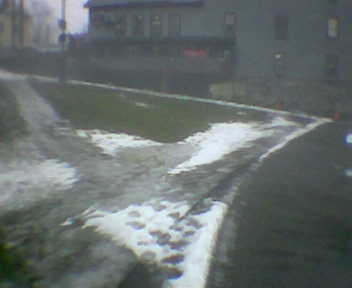 Then, one year later, GeorgieR comes across the photo, and recommends that I add it to a Flickr pool for desire paths. I didn't know such a group existed, so I check it out, add the pic, and start following the pool. What to make of this? For one, the underappreciated archive spirit of web 2.0. The picture remained on flickr for twelve months before this happened. Not all of the "live web" is about the present tense. For another, it's a good, small example of Ton Zylstra's "social object" concept. The photo linked Georgie with myself, intrisic to the platform. We didn't connect by interest or profile, but by a digital object of mutual interest. How are we acculturating these practices? Is this sort of social object networking part of information literacy, media literacy? How often does popular culture represent this practice in tv news, search scenes in movies? 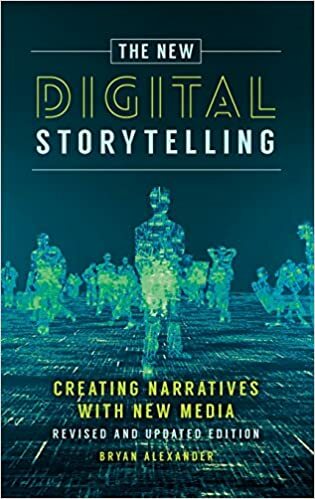 And academia, from scholarly bibliography practices to general pedagogy, from The Chronicle to advising grad students, how are we making, sharing, digesting such stories? Yes indeed. I have a feeling I'll be coming back to this one. I agree with Brian that this is a fabulous post (which prompted him to write a fine one, too)-- you ask really important questions for me as a teacher thinking about how students bring these networked moments of unanticipated learning into their "formal" studies. Thanks! You're touching, too, on vernacular creativity and communication along the lines of the powerful work of Jean Burgess in Australia. Do you know her work? Brian, thanks. The archive aspect of Web 2.0 - playful, vibrant - isn't getting nearly enough attention. I spoke to this at ELI; one of several topics resolutely failing to grab the audience. And thank you, Barbara. "unanticipated learning" is a splendid phrase. "one of several topics resolutely failing to grab the audience": not so, unless I don't count as audience. And of course there's a long tail at work with live presentations, too, as you know well from your days in the classroom. Who knows what other audience members were grabbed and might be mulling over it even now. Fine post through and through. My strong hunch is that this sort of thing is a core part of all informal learning, but the digital age makes it visible and more profuse in a way that can produce some interesting meta-effects, just as print and widespread literacy have. Accessing the traces of our own engagement with new intensity and multiplicity. I agree about the informal learning part, Gardner. But I remain disappointed by the conversation following that talk. My provocations didn't provoke. Your generous post seems to be the only long tail wagging from Atlanta. Maybe the podcast will get some more, Gardnerian responses. Speaking of Web 2.0 stories, another one popped up just now. Steven Kaye is visiting our home in Vermont. He took photos of our goats. One such image earned a comment from another Flickr user, who, it turns out... raises goats. Goats to goats, farmer to hobby farmer, Web 2.0 connects us through these social objects. I said I'd come back to this post, and I did. And I still love it. Thanks.